With the head of an eagle and body of a lion, the griffin has long represented a powerful guardian, a protector of valuables and values deriving its strength from the combination of two natures. Adopted by early Greeks, inhabiting a land situated between east and west, Asia and Europe, this symbol of different creatures united in purpose but retaining their individual powers epitomizes the unique qualities of The American College of Greece. In 1875, a woman of great courage with the heart of a griffin traveled alone from the United States to Smyrna, during a time of great turmoil in the region, to build the foundation of what would eventually become The American College of Greece. Her determination, ethos and passion for serving others were the cornerstones on which her love for education was founded. Maria West was alone in 1875, but her values were her guiding angel, giving her strength to face the challenges of those difficult times. The American College of Greece, upholding these values for over 144 years, has survived catastrophes, wars, occupation, and other serious challenges. In 2019, we have our griffin to guard these same values: love for education, service and inclusiveness. 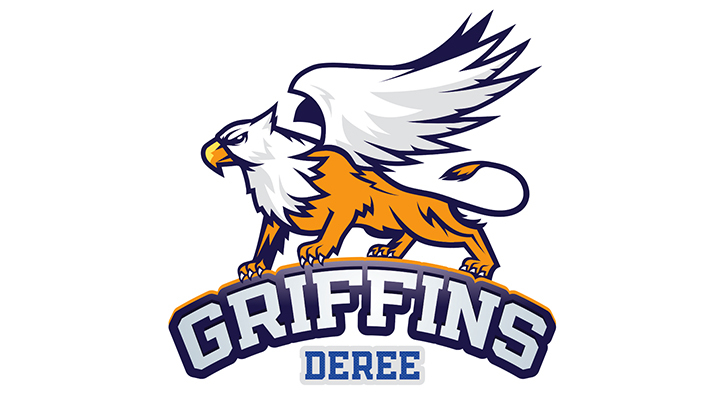 The Deree Griffins will always stand our ground, protecting the values of The American College of Greece and Maria West!